Apocalypse: It can be and is a very real thing-not just some 'crazy' belief that the 'Almighty' will strike us down. Our solar system orbits around our galaxy once every 225 million years (the earth, of course, goes along for the ride). 2 large-scale impacts (comets, asteroids). 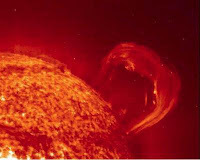 That makes 12 (probably more) extinction (ie apocalypse) events not including extreme climate/temperature changes (ice-ages) which may be 'normal' events in the history of our solar system as well as massive hiccups (solar flares/CME) from our own sun (see posts: When the Sun Grows Angry and The Carrington Event). 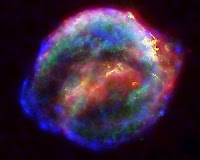 A supernova an explosion of a star resulting in a massive burst of radiation. During the short interval of weeks to months, a supernova can radiate as much energy as our sun is expected to emit over its entire life span. Radiation in the form of gamma rays from a supernova would result in a chemical reaction in the our atmosphere, depleting the ozone layer enough to expose the surface to harmful radiation. The Ordovician–Silurian extinction event was the second-largest of the five major extinction events in the history of our planet - over 60% of all life forms disappeared. 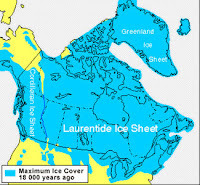 The extinction occurred 443.7 million years ago. At the time, most complex organisms lived in the sea, and around 100 marine families became extinct. Some scientists suggest that these extinctions could have been caused by a gamma ray burst originating from a supernova within 6,000 light years of Earth (in a nearby arm of our galaxy). A ten-second burst would have stripped the Earth's atmosphere of half of its ozone almost immediately, exposing surface-dwelling organisms to high levels of radiation. The Deccan Traps are a series of flood basalts (volcanic rock) in Northwestern Indian and the nearby Indian Ocean. They originally covered approximately 2 million km2 with a remaining volume of more than 1 million km3 and a maximum thickness of over 2 km. There is evidence that much of this material was erupted very close to the 'K-T boundary' (about 65 million years ago). The Siberian Traps The remains of these volcanic eruptions testify to the greatest mass extinction in the history of the earth where 95% of all marine species became extinct. 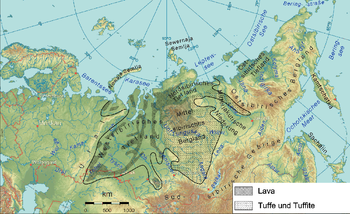 The Siberian Traps are an accumulation of flood basalts from one of the largest volcanic events in the history of the world. What is left of this volcanism today are the remaining flood basalt deposits which cover an area of 2.5 million km2, a volume of over 3 million km3. The eruption of this magma coincides precisely with the mass extinction event called the 'End-Permian' (about 245 million years ago). The Late Heavy Bombardment (LHB) was a period of intense bombardment of the inner Solar System by asteroids/meteors that is thought to have occurred about 3.85 billion years ago, when our solar system was only about 700 million years old (about 3.85 billion years ago). Most of the craters on the Moon were formed during this brief but intense period of bombardment, with similar impacts on the Earth. With on going geologic processes on our planet (the moon is relatively inactive geologically) any such craters that formed then have mostly been erased. 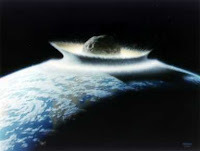 About 65 million years ago, most scientists agree, an impact (comet? asteroid?) occurred near today's Yucatan Peninsula (the Chicxulub crater, eastern Mexico), setting off earthquakes, tsunamis, fire storms and severe global climate change, ultimately leading to the demise of the dinosaurs. And now that human beings have advanced technologically, we might see climate change, nuclear war/accidents, biological weapons, etc adding a human touch to the history of 'the end of the world'. *Apocalypse: subject of research for the novel The Tao of the Thirteenth God - Amazon Kindle.